How to tidy up your love life KonMari style! See how I celebrated my 3rd anniversary! Awesome! This quiz will highlight whether he’s a good guy that’s worth keeping around, or a bad boy who might make your heart flutter but will ultimately break it! Head to your email account to confirm your subscription then immediately afterwards you'll find the quiz in your inbox (drag & drop my email from your Promotions/SPAM folder to your Primary folder make sure you receive my goodies)! Find Samantha on your favorite social site! The secrets to a happy love life are free... and a click away! 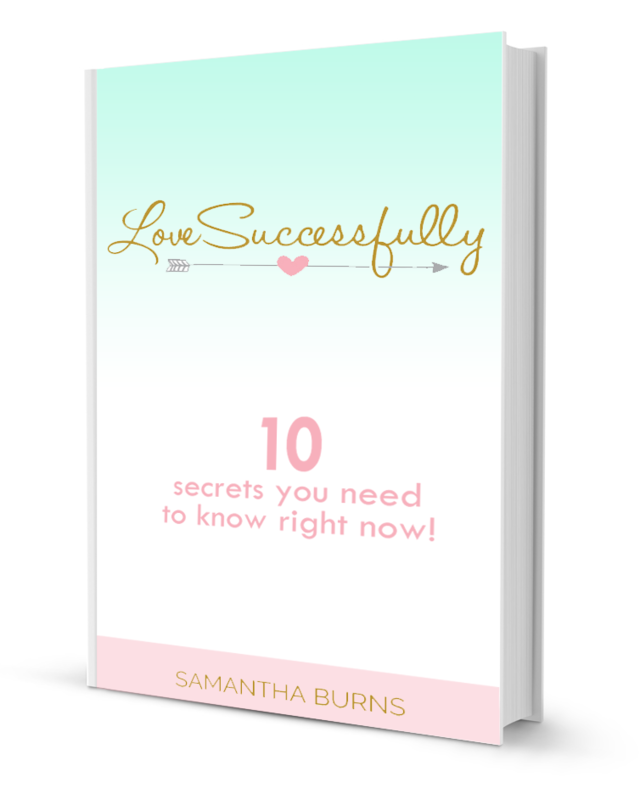 Even the best relationships require effort, so Samantha has laid out the secret ingredients to cook up a happy love life. She's consolidated years of research, field work, and knowledge—along with therapeutic techniques—into one easy-to-read, digestible and entertaining ebook just for you! No more disconnection, arguing, miscommunication, feeling unloved, or undervalued. It’s time to prioritize yourself and your relationship! Awesome! I'm thrilled to be a part of your journey to bettering your love life. Below is your download link. Just make sure to confirm your subscription in your email inbox so that I can be in touch with more goodies!